Strictly for the ultra-rich back in the beginning, orthodontics has gained wide acceptance and in todays’ modern society, it is considered more the norm than an exception that people of all stripes and colours undergo orthodontic treatment. When the fixed appliance was first started, ugly orthodontic bands were used on all teeth. These bands were metal rings which wrapped around each individual tooth. As you can imagine, they were very uncomfortable to begin with and required a fair degree of stoicism. However, in the 1959’s with the advent of adhesive dentistry, the contemporary orthodontic bracket was invented. These brackets were “glued” on to the teeth and presented a more comfortable and aesthetic option. The ease with which they were put on the teeth was a major step forward in the acceptance of the orthodontic appliance by patients. While many many brackets systems have come and gone, all of them were searching for the holy grail of ease of use, shortened treatment time and least discomfort. The fixed orthodontic appliance was started more than 100 years ago by Dr Edward Angle. In contemporary orthodontics, there are just too many bracket systems to be included in this article. Suffice to say that that the mainstream Orthodontic appliance is the pre-adjusted Edgewise appliance. Developed by Andrews in the 1970’s, this bracket system gained great acceptance and it shortened treatment time significantly. In a nutshell, the pre-adjusted bracket has ‘built” into the bracket the necessary angulations to move teeth into their ideal orientations. While removing a significant amount of work required by the orthodontist, his skill is still required to do the final detailing to get the result that is perfect for the patient. The ceramic bracket was developed to provide a more aesthetic option for patients. Instead of the square metal brackets of the more traditional design, ceramic brackets are “tooth coloured” and are therefore not as obvious. This choice is particularly popular amongst adult patients who don’t want the ugly metal braces. It should however be noted that the end result, treatment time and comfort levels are similar to the metal bracket. In the pursuit of the more aesthetic option, manufacturers have even designed fibre reinforced wires to move the teeth. Instead of the traditional metal wires, the fibre reinforced composite wires (Simpliclear) attempt to provide a more aesthetic option. However, this author personally feels that tooth movements are slower and treatment time can be longer especially when there are more complex movements to perform. 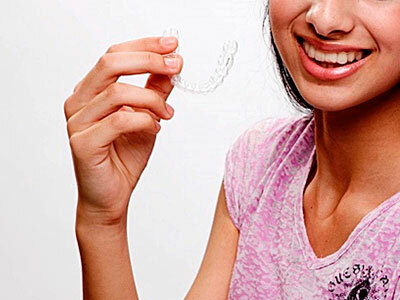 The most recent change in the world of orthodontics was the use of transparent plastics to move teeth. E.g Invisalign. While these show great promise, the removable nature of the appliance is such that patients who adopt this system must be responsible and very compliant. In Singapore, the most common orthodontic appliances that patients choose are metal braces, ceramic braces, Damon braces and Invisalign. The most popular is metal braces especially with the teenagers as they like to have different colours for their braces. With all the systems in the market, it is important that patients consider all the options, their advantages and disadvantages, before taking the plunge. There are about 100 orthodontic specialists in Singapore who have trained in the Singapore system and the rest have trained abroad.